How do you turn on your employees? Home/Staff/How do you turn on your employees? What can turn on your employees? The employees will also perform to their maximum level if they know the mission ahead of them. The organization must therefore make the mission as clear and attainable as possible. The environment must be conducive to enhance maximum output as the employees spend most of their working and thinking time in the organisation. The organization must create and implement a win win formula for both the organization and the employees. The employees must achieve their personal mission in addition to enabling the organization to achieve its mission. Create a listening ear for employees concerns and innovative ideas. If you do this, you will be surprised on the number of insights about your business the employees will give you . Do not forget it is the employees who manage your business on a daily basis. The Chief Executive Officer must lead by example. The CEO must believe in the mission of the organization for the employees to believe it. The CEO must set himself or herself on a highway for the employees to see and follow. They will not follow you if you do not have the right leadership skills. Create a value driven culture that is transparent, open to new ideas and promotes lots of creativity and innovation. Treat employees as your partners in order to increase their productivity and a feeling of ownership. 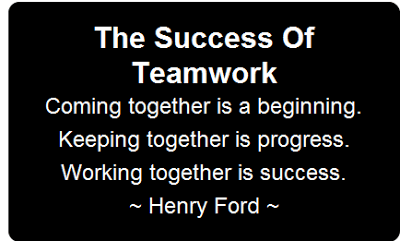 Encourage team spirit within the organization for the employees to achieve organizational and individual goals. To motivate employees to give their best the organization must recognize the importance of the employees to the organization’s performance. Their opinions must be considered during the decision making process. Give your employees a reason to come to work every day. The post How do you turn on your employees? appeared first on Muhaise.com.